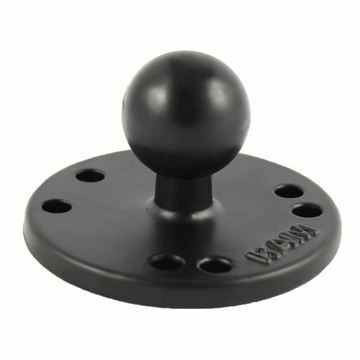 The RAM-B-166-202U-UK1 Twist-Lock Suction Cup for Cradles features one 3.3" suction cup with twist lock and one round base with AMPS hole pattern. 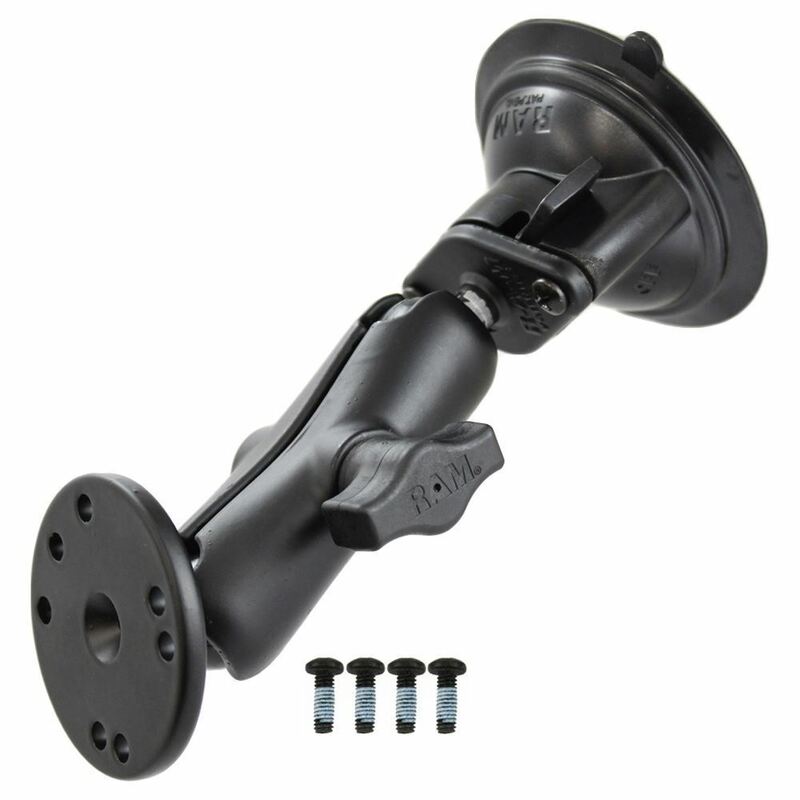 The RAM-B-166-202U-UK1 RAM Twist-Lock™ Suction Cup with Double Socket Arm, Round Base Adapter & Mounting Hardware for Cradles from the RAM Mount Bases range is made of a round base adapter with AMPS universal hole design, a standard length double socket arm, and a 3.3” twist lock base with suction cup functionality. With the extra strong suction cup design it can be mounted on all surfaces including glass and plastic. The rubber ball and socket system can be adjusted for maximum viewing potential. Mounting hardware is included to attach to RAM cradles with universal hole design. 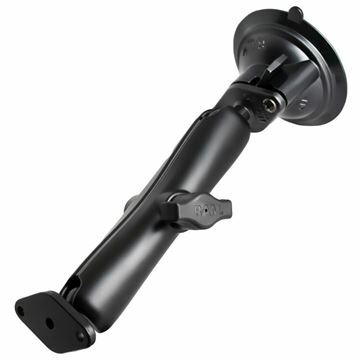 The RAM-B-166U-C Twist-Lock Suction Cup Mount features one 3.3" suction cup with twist lock and one diamond base suitable with most RAM mounts.